He holds a Bachelor of Science degree in agriculture and a Master of Business Administration. His commitment to quality and passion for innovation has seen Brigade Group grow from a single-building, small-scale private enterprise to a diverse multi- domain Company which is into all verticals of Real Estate. Under his leadership Brigade Group has scaled new heights and this has been recognized by the many awards Brigade Group has received over the years. She holds a Bachelor of Arts degree, Bachelors in Library Science and a Masters in Business Administration. She has over 30 years of experience in the fields of advertising, stock broking, insurance, education and real estate. 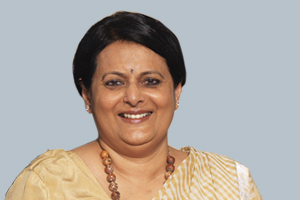 She is the Managing Trustee of Brigade Foundation which started and runs The Brigade Schools in Bangalore. She Holds A Bachelor’s Degree In Economics From The University Of Virginia, USA And Has Done Her Masters Of Management In Hospitality In 2009 From Cornell University. She Forms Part Of The Promoter Group And Is Associated With The Group Since 2009 With A Rich And Versatile Experience. She Oversees The Company’s Hospitality, Office & Retail Ventures, Human Resources (HR), Public Relations (PR) And Innovation Functions. He Has Done Business Management From XLRI, Jamshedpur. Mr. Bijou Has Been Associated With Marquee Brands In The Fast Moving Consumer Products, Consumer Durables And Retail Industry In India For Over 33 Years With Companies Viz. Reliance Retail Limited, Titan Ndustries Limited And Hindustan Unilever Limited. Currently, He Is An Independent Consultant And Member Of The Strategic Advisory Board Of L Capital, Asia (Sponsored By The LVMH Group), And Also Advises Several Consumer Product Companies And Mentors A Few Start-Ups. He Is Also On The Board Of Several National And International Companies. She Holds A Bachelor’s Degree In Economics And Mathematics From The University Of Virginia, USA And A Masters In Business Administration In Real Estate And Finance From Columbia Business School, USA. She Is A Relative Of The Promoter Group And Has Over A Decade Of Rich Experience And Oversees Residential Sales & Marketing, And IT Departments At Brigade. He Holds A Masters In Engineering From Pennsylvania State University USA. He Is A Relative Of The Promoter Group And Has More Than A Decade Of Diverse Experience In The Fields Of Supply Chain Management, Manufacturing, Power Sector And Real Estate. He Has Been Instrumental In Tying Up Green Power For The Company’s Commercial, Retail And Hotel Properties. He Is Actively Involved In The Company’s IT Initiatives In Adopting Tech In The Business Processes To Bring In Higher Efficiency. He Has Done His Masters In Science, (Statistics), From The University Of Madras And Certified Associate Of Indian Institute Of Bankers (CAIIB). 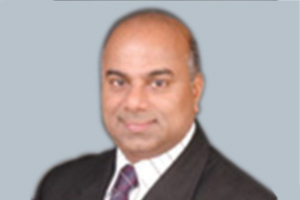 Mr. Pradeep Kumar Panja Is Having Around 4 Decades Of Rich Experience With State Bank Of India (5 Years Of Which At Board Level) Which Encompassing Various Areas Of Corporate, International, Treasury, Information Technology, Retail And Transaction Banking. Also, Hands On Experience In Strategic Planning, Goal Setting & Business Development. He Also Has Rich Board Level Exposure At The Numero Uno Bank Of The Country And Other Organisations And Exposure To Treasury And Investment Management – Served As Head Of Treasury-Global Markets Group. She Holds Post-Graduate Degrees In Economics And In Business Administration, From Boston University, USA, And A Post Graduate Degree In English From Jadavpur University, Kolkata. She Has Rich And Versatile Experience Of More Than 35 Years In Both The Public Sector And The Private Sector. Her Previous Assignment Was With Asian Development Bank As Vice President For Private Sector And Co-Financing Operations. She Held Various Positions In Government Viz. 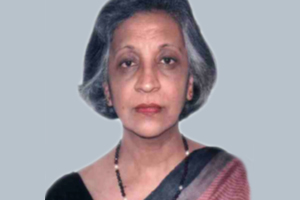 Director General Of Shipping And Ex-Officio Additional Secretary To The Government Of India; Principal Secretary To The Government Of Karnataka In The Departments Of (1) Commerce And Industry, (2) Urban Development And (3) Planning, Program Implementation, Economics And Statistics; Chairperson Of The Coffee Board Of India, (A Statutory Body, Under The Ministry Of Commerce, Government Of India) During Which She Held The Office Of Chairperson Of The International Coffee Council; Commissioner Of The Bangalore Development Authority; Director In The Ministry Of Steel, Government Of India. Dr. Venkatesh Panchapagesan Is Chartered Accountant, Cost Accountant And Is A IIM Kolkatta, Alumni. He Is An Associate Professor Of Finance And Heads The Real Estate Research Initiative At The Indian Institute Of Management, Bangalore. He Was, Until Recently, India’s Sole Academic Representative In The Advisory Committee For World Economic Forum’s Initiative On Real Estate. He Has More Than 20 Years Of Experience In Academia And In Global Financial Services Industry. Prior To Joining IIM-B In September 2011, He Was With The World’s Largest Hedge Fund, Bridgewater Associates, Where He Was The Global Currency Trading Strategist And Led Efforts To Revamp Trading And Research Analytical Infrastructure. He Has Also Worked With Goldman Sachs Asset Management In New York Between 2005 And 2008 Overseeing Trading Research For Their Quantitative Hedge Funds. He Holds A Post-Graduate Degree In Economics And An MBA From The Wharton School. 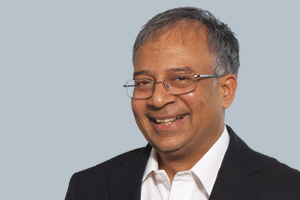 He Has Promoted Raman FibreScience, A Research & Innovation Company In The Area Of Technical Non-Wovens And Composites Which Was Acquired In 2014 By Hollingsworth & Vose Company, A World Leader In Engineered Composites For Filtration And Energy Storage. He Specializes In Conducting Due Diligence To Assess Companies Or Their Competencies In Term Of Technology, Process, People Apabilities And Also On Strategic Interventions. 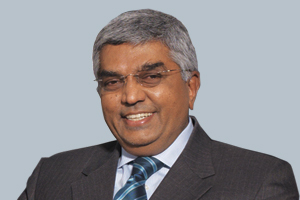 He Has Held Several Senior Positions With The Confederation Of Indian Industry (CII), And Was The Chairman Of CII, Karnataka State Council For 2010-11. He Is A Recipient Of The State's Highest Civilian Honour - The Karnataka Rajyotsava Award For 2010 For His Contribution To The Industrial Development Of The State. He Also Serves On Several Corporate Boards And Charitable Trusts. Brigade Group a leading real estate development company are led by individuals who have well experience and expertise in real estate industry.